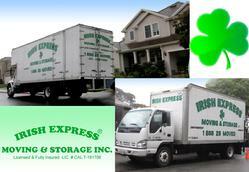 Irish Express Moving & Storage Inc. has been in business since 1994 and was started by the current owner, John O'Donoghue. It is 'owner-operated' and John is involved in the day to day running of the company. All of our movers are full-time, long-term employees who have the experience to provide the quality service that customers expect and deserve. We want your experience to be a successful one throughout every aspect of your move. We want your repeat business and because we depend on referrals and repeat customers, we strive to ensure that every customer is completely satisfied. Full Packing Service - Experts in packing Crystal, China, Antiques, Fine Art. Full Storage Service - We operate a 22,000 Sq. foot storage facility. 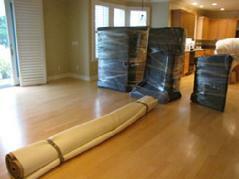 We Specialize in moving Pianos, Crating, Artwork, Flat Screen TV's etc.